If you have a warrant out for your arrest, here’s how a criminal defense lawyer can help you. Contact us today to speak with an experienced criminal defense lawyer. being issued a summons on the spot. Arrests take place for nearly all felonies at the time they are committed, if possible, and for some misdemeanors, such as DUI/DWI and public intoxication. A summons, or what most people think of as a ticket, is usually issued for speeding, other traffic infractions, reckless driving, and minor drug possession offenses. In other cases, a person may not be accused of a crime until hours, days, or weeks after the alleged crime occurred. When a person is not arrested or issued a summons at the time of the offense, the police will need an arrest warrant to take the suspect into custody. Police officers are not required to disclose whether a warrant has been issued for a suspect. However, in some cases, the police do disclose this information, or a person may otherwise learn that he or she is wanted by a particular jurisdiction. If you learn that you are wanted by a jurisdiction, you should first contact a criminal defense lawyer who practices in that area to ensure your rights are fully protected and you have the best defense moving forward. Are dedicated to helping people accused of crimes obtain the best possible outcomes to their cases. After speaking with a criminal defense lawyer, the next step is typically to turn yourself into the jurisdiction in which you are wanted. Going to a different jurisdiction may delay your release. If a suspect is outside the jurisdiction that issued the warrant, the judge likely will not set a bond. Instead, a transportation order will be issued, and the suspect will be transported to the jurisdiction in which the charges are pending before release is addressed. If you are wanted out-of-state, you should contact criminal defense lawyers in both states to determine what needs to be done. 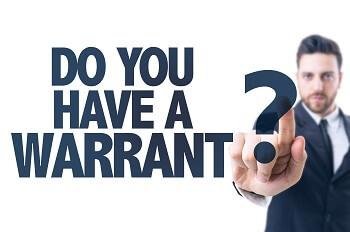 For the final two steps to take if you have a warrant out for your arrest, be sure to look for the second part of this blog series that will be published soon. Those charges have a presumption against release, so a magistrate judge will not have the option to set bond. If the magistrate does not, or cannot, set bond, it will be important to have a criminal defense lawyer ready to file a bond motion and family or friends ready to help provide support by posting the bond or hiring a bondsman (Bondsman typically charge a fee of 10% of the total bond, which is not refundable). No matter whether you are released immediately or held, it is important that you do not make any verbal or written disclosures to anyone during this process. Anything stated to a police officer, or even a fellow inmate, could potentially be used against you. It is vital that no case-related statements be made over jail phones. Many of the phones available to inmates in Northern Virginia’s jails are recorded by the jail and reviewed by prosecutors and law enforcement. This can then become evidence in the government’s case. If it’s time to contact an attorney, call the trusted Fairfax criminal defense lawyer at Greenspun Shapiro PC by calling 703-352-0100 or by emailing us using the online contact form. Our attorneys provide superior legal services to our clients in Fairfax and throughout Virginia. Simply contact us and attend an initial consultation with a trusted Fairfax personal injury attorney at Greenspun Shapiro, PC. When is it better to settle personal injury lawsuits (rather than see them through trial)? A fair settlement offer has been made and prolonging the case may cost you more than it may be worth. You are ready to put the case, the accident and your injuries behind you so you can move on with your life. There may be some serious risks associated with winning a favorable verdict from a trial. What kind of compensation can I expect from my personal injury case? A pattern of negligence having been displayed by the defendant. This is a good and important question to ask when it comes to personal injury lawsuits. The length of time in which you have to file personal injury lawsuits is known as the statute of limitations for these cases, and this time frame varies from state to state. On which the personal injuries were diagnosed or discovered. Because these time frames are very strict, it’s best for injured people to move forward with filing personal injury lawsuits as soon as they can to avoid running out the statute of limitations. How quickly are personal injury lawsuits resolved? Corporate or government defendants (who tend to have legal teams ready to fight negligence allegations). While you can easily get a more specific answer regarding your case by contacting Greenspun Shapiro, PC today, what you can take away from this is that you should generally expect personal injury lawsuits to take some time to resolve. What if I may have played a role in causing the accident and/or injuries? When people have somehow contributed to the accident or incident that led to their injuries, it may still be possible to pursue personal injury lawsuits, depending (of course) on the details of the incident and case. In general, in fact, as long as another party was more negligent that you were in the incident, you may still be able to move forward with a case and seek compensation for your injuries and losses. That being said, however, whether or not it is worth it to you to move forward with a legal claim can depend on whether you may obtain sufficient compensation from this effort. To receive more specific info regarding this, contact a Fairfax personal injury attorney at Greenspun Shapiro, PC. For some more answers to common questions about personal injury lawsuits, be sure to check out the upcoming second and third parts of this blog series! What are some common examples of negligence in personal injury lawsuits? First, it’s important to define the term negligence, as it’s the general basis of personal injury lawsuits. Simply put, negligence is the failure of one party to use reasonable care when performing some action and, consequently, causing damage, accidents and/or injuries. Here, “reasonable care” typically means the level of care that a reasonable person would have exerted in the same situation or under similar circumstances. Failure to properly diagnose a medical condition and, in turn, causing health complications. There are countless other examples of negligence in these cases, so it’s best to consult with an experienced attorney to find out more regarding your accident and whether you may have a viable personal injury claim.